Guest post by Mum’s Grapevine. Spring is in the air! The sun is shining, the trees are blossoming and it is time to celebrate the impending arrival of a little #babyswallow! We were so excited and honoured to host a beautiful spring baby shower for glowing mama-to-be Elise Swallow, wife of North Melbourne AFL club captain, Andrew Swallow. Photography by the very talented Clare & Grant from My Little Tribe. The pavilion at The Stables of Como provided the perfect setting for Elise’s mint and white themed afternoon. Inspired by her love for natural and organic beauty, flowers bloomed from the rafters of the pavilion and graced the tables in lush greens, soft pinks, apricots and purples courtesy of Kelly and Liz of Red Earth Flowers. Bec and Tegan, the gorgeously talented duo behind Storytime Weddings + Events, dressed the tables with beautiful grey linen and brought the glam with gold (that’s right, gold!) cutlery which popped right off the tables. Nearby, mint and white honeycomb paper lanterns and a huge confetti balloon from The Party Parlour announced the lolly buffet. We were ready to tow that gorgeous cart from Mini Party People out of there and spend the afternoon in sugar oblivion! The guests were treated to a to-die-for high tea prepared by The Stables of Como with tiered platters of smashed avocado and Persian fetta bruschetta, Vietnamese rice-paper rolls, finger sandwiches, vegetarian frittata, a superfood salad and scones with jam and Chantilly cream. For the sweet tooths, there was also a heavenly array of desserts created by Glenda and Lisa from Burnt Butter. With touches of gold leaf and mint icing, guests could choose from white chocolate cake pops, vanilla rain drop biscuits, double chocolate tarts, profiteroles, chocolate dipped strawberries and macarons. And of course the cake! The semi-naked carrot cake with layers of cream cheese was a rustic beauty atop a white cake stand – absolutely divine! Beautiful personalised stationery created by Jennifer from Love JK wove Elise’s colour palette through the event. Jennifer’s gorgeous designs perfectly captured the joyful spirit of the day from the sweet mint stripes on the invitations to the flashes of gold on the menus and gift tags. Not to mention that dazzling ‘Oh Baby’ signage! We couldn’t help but spoil this gorgeous lady by putting together a gift bag for her filled with some of our favourite mama and baby products. And the best news is that YOU have the chance to win all of the magnificent pressies in Elise’s goodie bag! 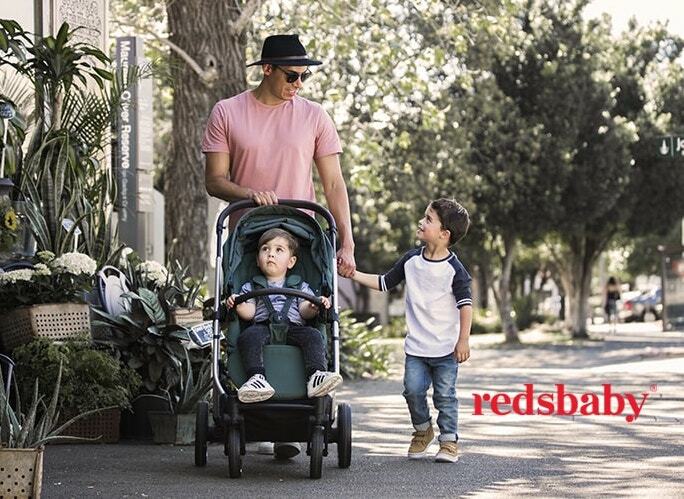 Click here to enter the Mum’s Grapevine competition to win over $6000 worth of goodies – trust us, this is one fabulous prize! While baby showers are all about mum and bub (and rightly so!) Elise was so excited that her guests were also made to feel super special with each lucky lady receiving a gift bag filled with amazing products: skincare from Musq Cosmetics, matcha by Matcha Maiden, Liefje chocolate, a delicate mini terrarium by Red Earth Flowers, tea by Mama Body Tea and a Burnt Butter macaron. Memories of the afternoon were shot by wonderful photographers Clare and Grant from My Little Tribe. Their photos (including all the beautiful images you see here) truly capture the joy that was shared by Elise and her family and friends at this special event. Congratulations to Elise and Andrew. We wish you all the very best on your journey into parenthood and can’t wait to hear the news that a new little swallow has hatched! Elise was so thrilled with her baby shower gift that we thought it would be amazing if one of our lucky readers could experience that same excitement and win a goodie bag too! So here it is. The ultimate goodie bag for one very lucky mum-to-be. A Greentom stroller, Leander cradle, personalised jewellery from uberkate, a wardrobe from Soon Maternity & Cake Lingerie, a nappy bag for you from Budu and a Storksak nappy bag for dad, a two day curated hospital bag from Bundle, Vanessa Megan body care for pregnancy and baby, an Ergobaby Carrier AND Ergobaby nursing pillow, Minimink baby blanket, Bellybean maternity pillow, Bella Buttercup play set, uimi cot blanket and one very cute Lucky Boy Sunday doll. Click here to enter to Win Elise Swallow’s goodie bag.